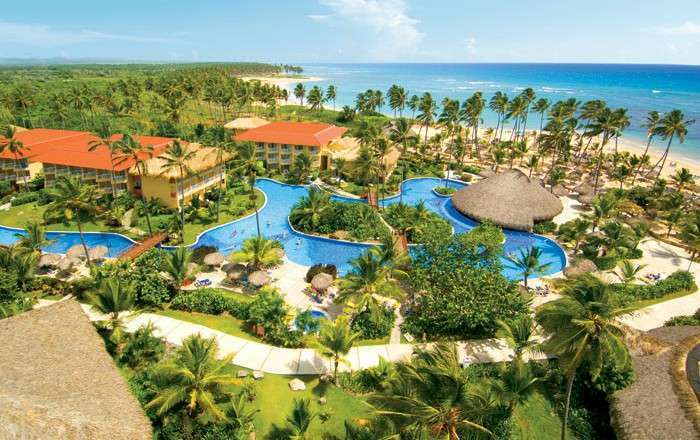 An epic 31% saving on the classic Dreams Punta Cana Resort & Spa, offering something for all the family. Subject to Availability. Per person price based on 2 adults sharing including return flights, APD Tax, Fuel Charges, In-Flight Meals, 20kg Luggage Allowance, Resort Transfers and 7 nights all-inclusive meal plan. Valid for stays of 7 nights or more. Regional and weekend flight supplements apply, price correct at the time of publication based on the lowest flight booking class seats. Low deposit available for select holiday packages. Low deposit not available for departures within 14 weeks of booking. Top-up deposit required 6 weeks after booking. Ask your Personal Travel Advisors for more details.